This beautiful piece of flora is called an Abyssinian Gladiolus (Gladiolus murielae formerly classified under the genus of Acidanthera). 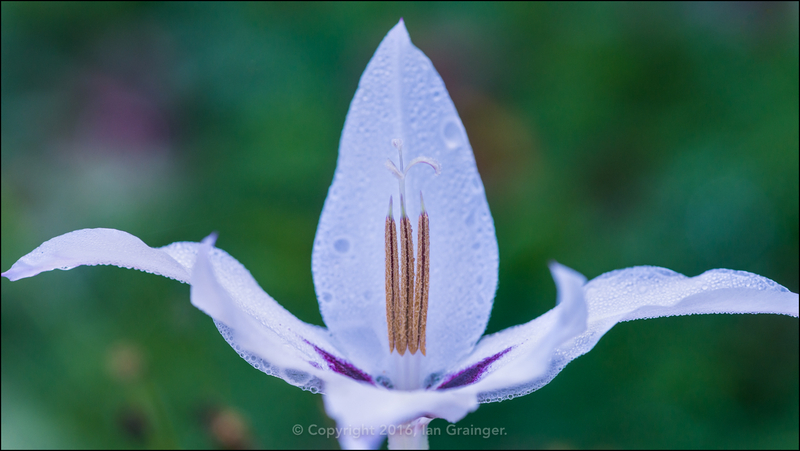 Grown as a late flowering summer bulb, the flowers are produced on top of slender stems that can grow in excess of two feet tall. Although a perennial plant, the bulbs are not tolerant of hard frosts, and it is best to lift them and store them in frost free conditions and plant them out again in late spring. 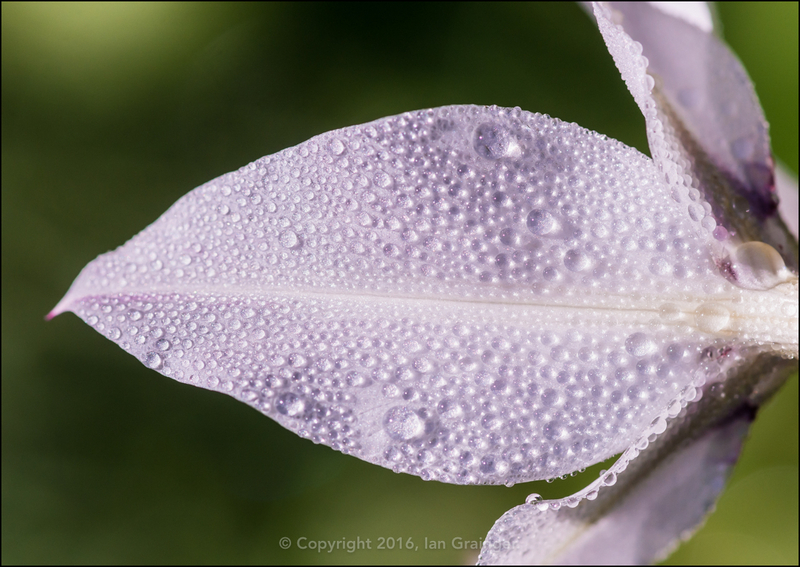 This particular example was found growing in a clump in dad's garden at the weekend, and the petals were looking very nice as they were covered in dewdrops as a cold night turned into a warm late summer morning. 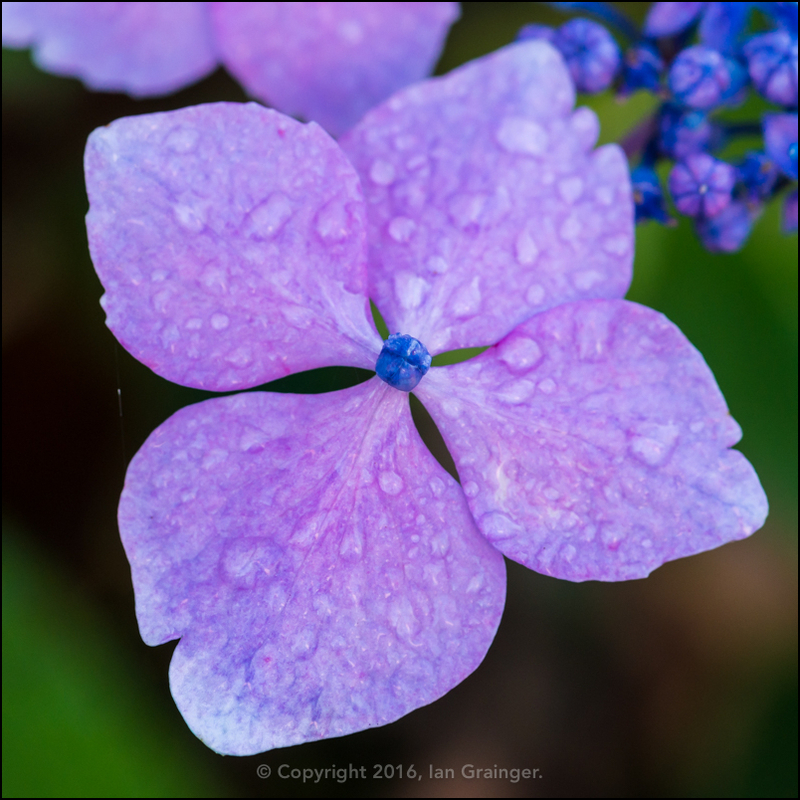 Dewdrops were also in abundance on the Lacecap Hydrangea (Hydrangea macrophylla) bracts, of which some still had their summer colour. 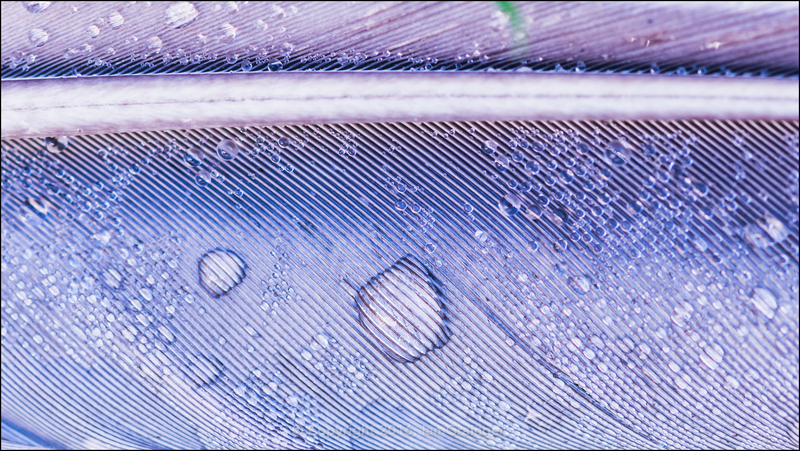 More dewdrops were in evidence on quite a few feathers found scattered around the garden. 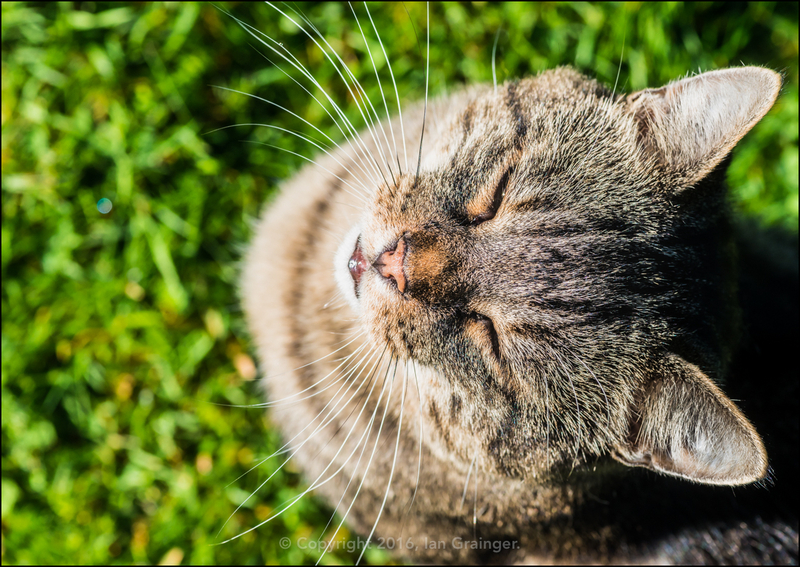 Let's just hope my feline photo companion had been a good boy this week! 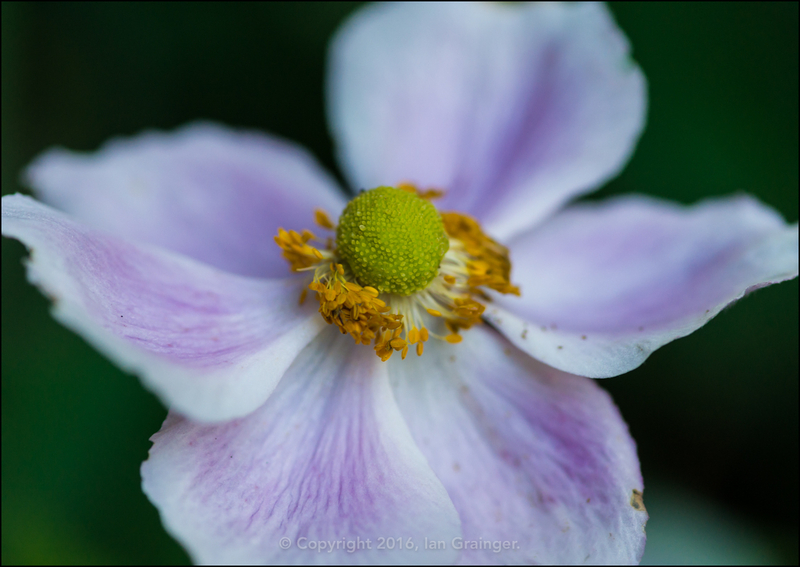 Late summer and early autumn is the time of the Japanese Anemone (Anemone hupehensis), and they were putting on a very nice display in a shady part of the garden. 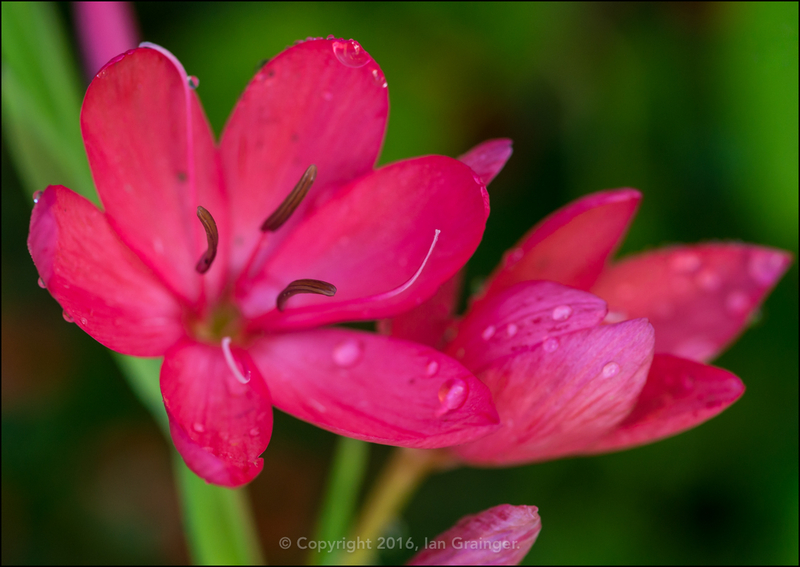 As showcased last week, the River Lily (Hesperantha coccinea) is another late flowering plant, and continues to give a nice display of pink and red flowers. 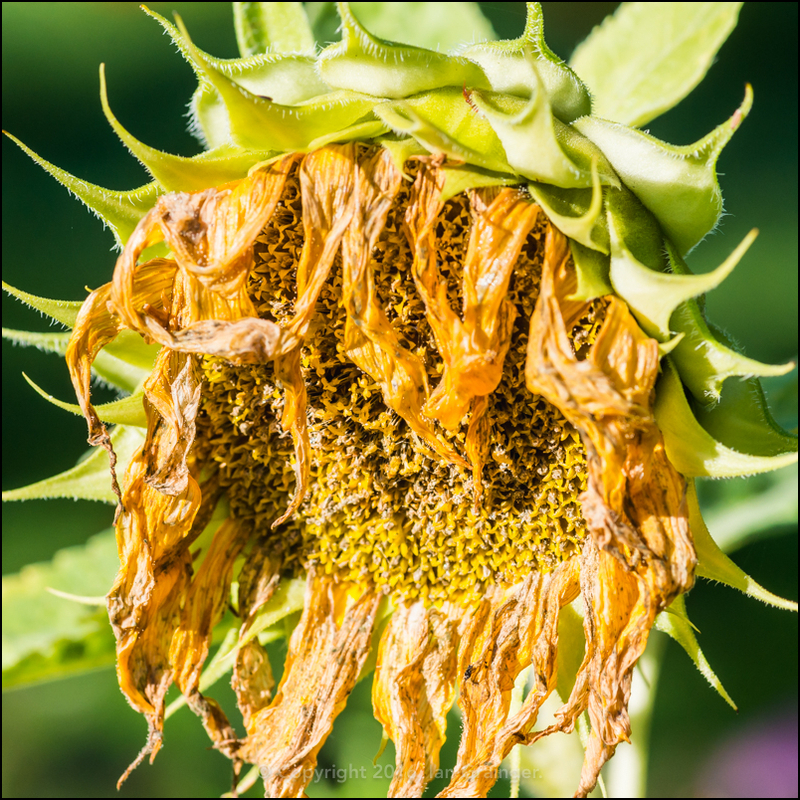 As with most of the summer annuals, the Sunflowers (Helianthus) are coming to the end of their days, although leaving the flower heads will encourage the birds into the garden to collect the seeds. 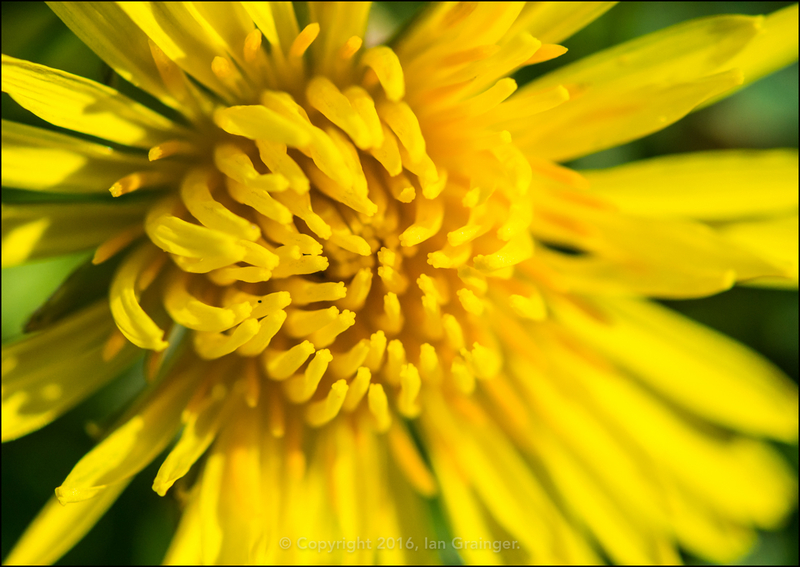 With lots of summer flowers coming to an end, it's more important than ever to leave a few wild flowers, or weeds like this Dandelion (Taraxacum) so the insects can find some nourishment in the garden. 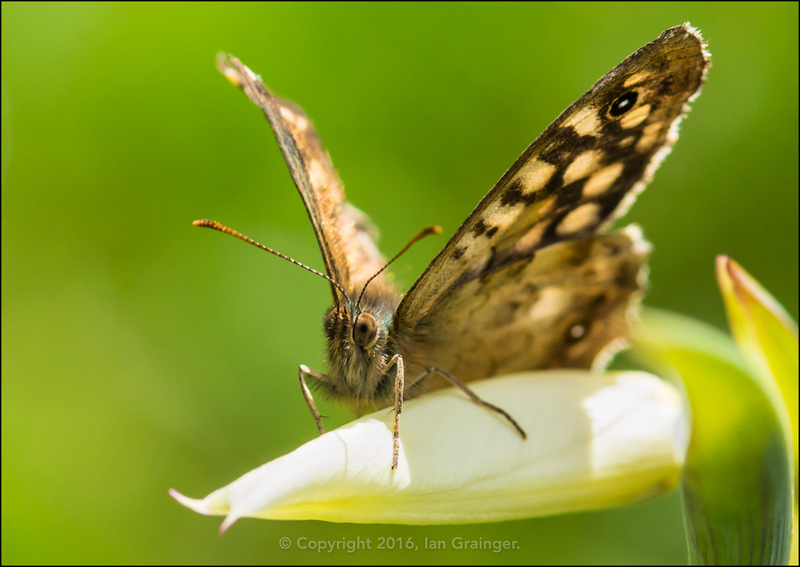 ...while this one was basking in the sunshine atop an Abyssinian Gladiolus flower bud. 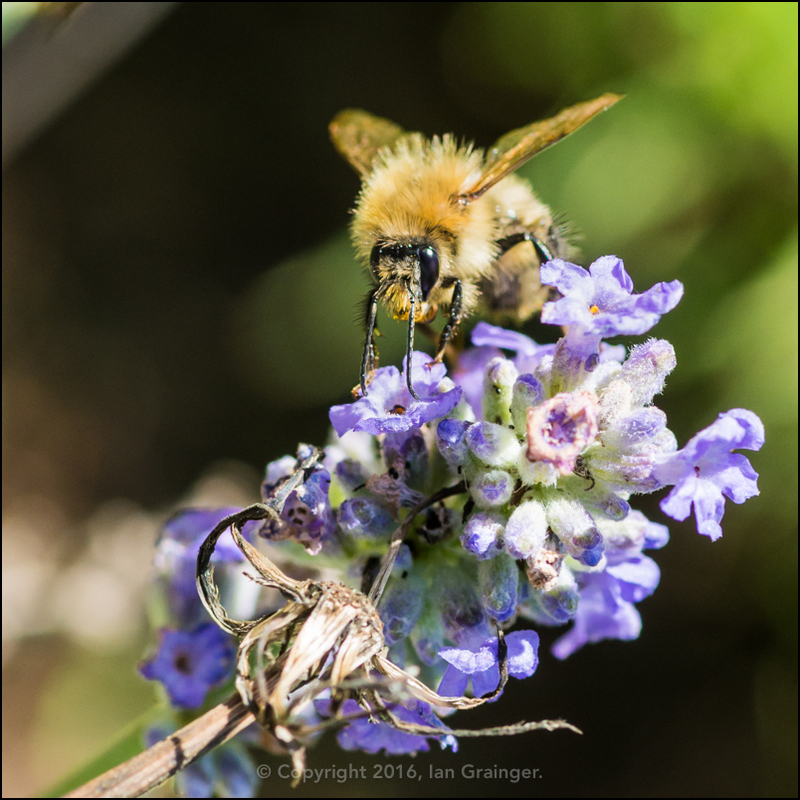 This Bee was drinking up the nectar within the late flowering Lavendar (Lavandula). 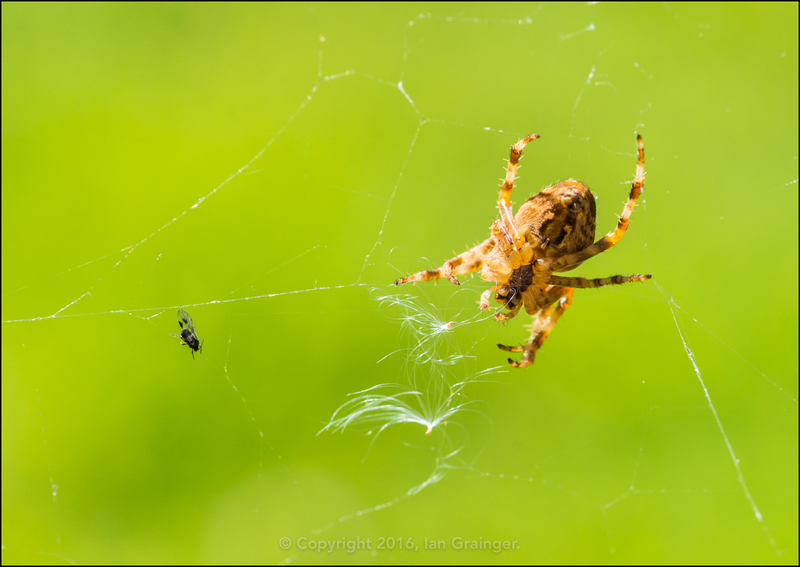 Of course, some invertebrates don't get their sustenance from flowers, as this small Fly (Diptera) was going to find out when it encountered the Garden Spider (Araneus diadematus) that was inching its way closer to it! 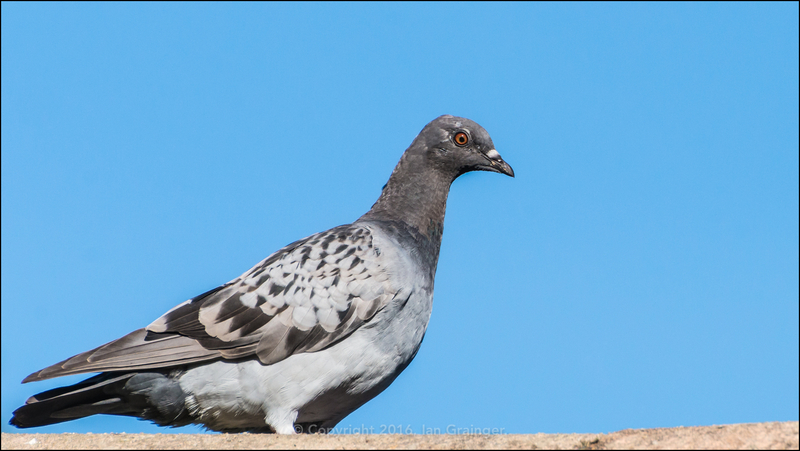 It was a beautiful warm sunny morning, and pointing my camera skywards yielded some of our avian friends, like this Feral Pigeon (Columba livia) standing on a neighbouring roof. 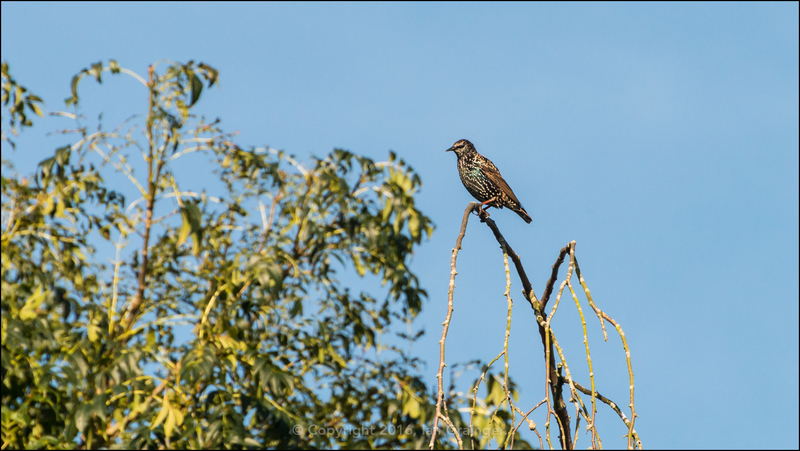 ...until it was interrupted by a mob of Starlings (Sturnus vulgaris). 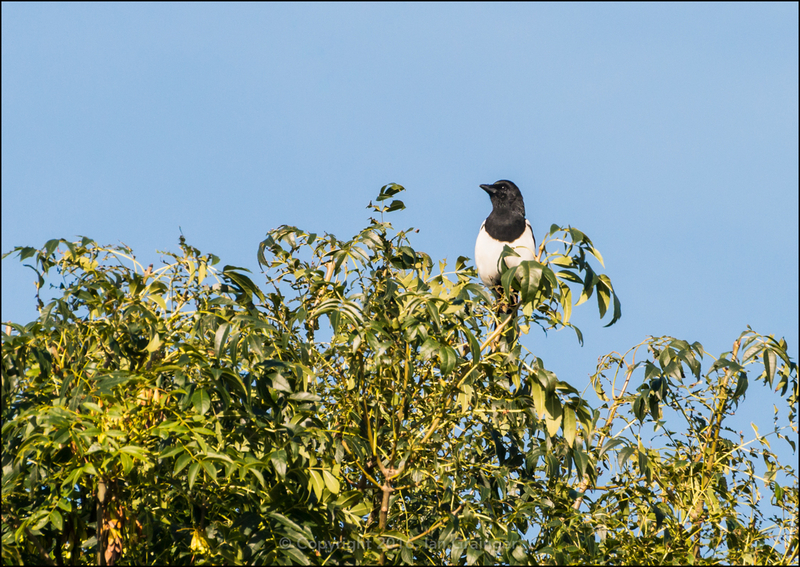 Meanwhile, a Magpie (Pica pica) kept close attention in a nearby tree, waiting its turn! 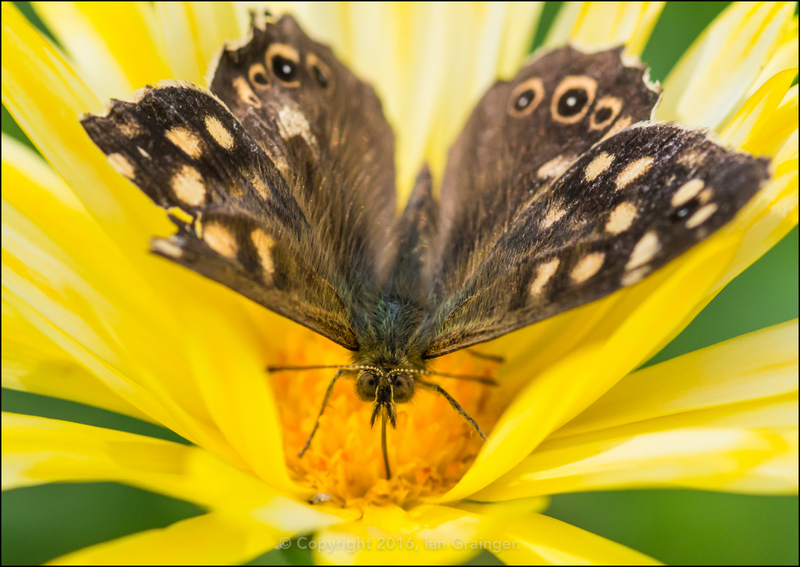 Over in my garden this week there has been a hive of butterfly activity. 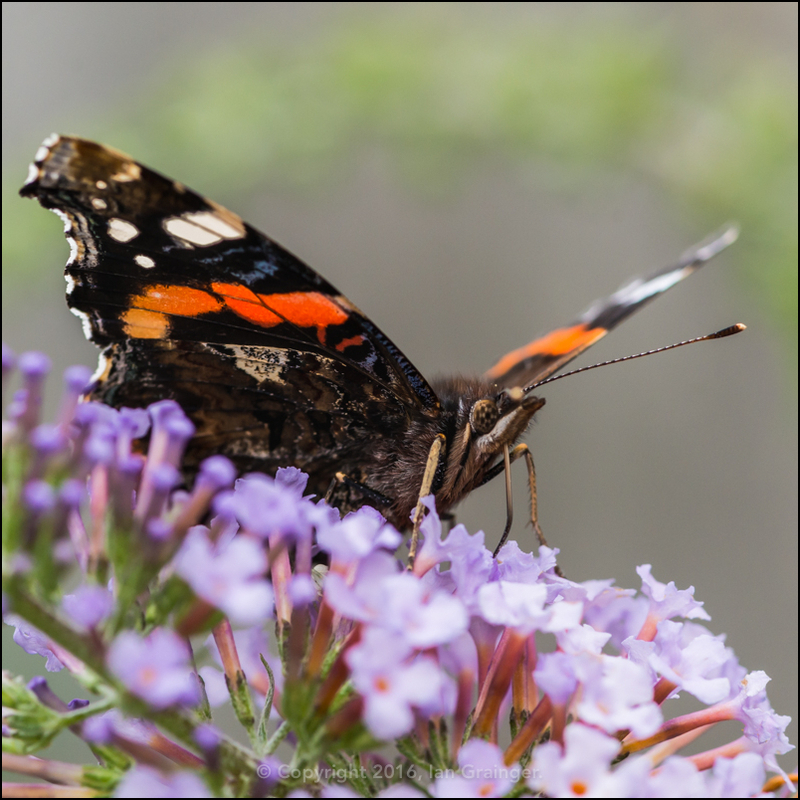 This Red Admiral (Vanessa atalanta) was just one of the many attracted by the late blooming Butterfly Bush (Buddleia). 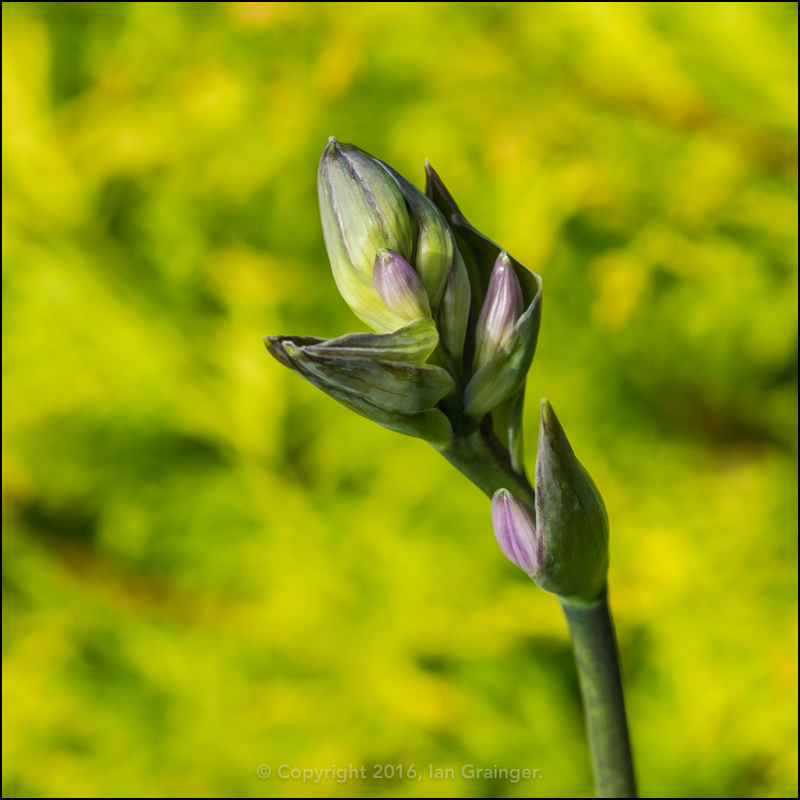 I'd thought that all of my Hosta flowers had finished, after we'd had high winds that had snapped off the flowering stems a few weeks ago. 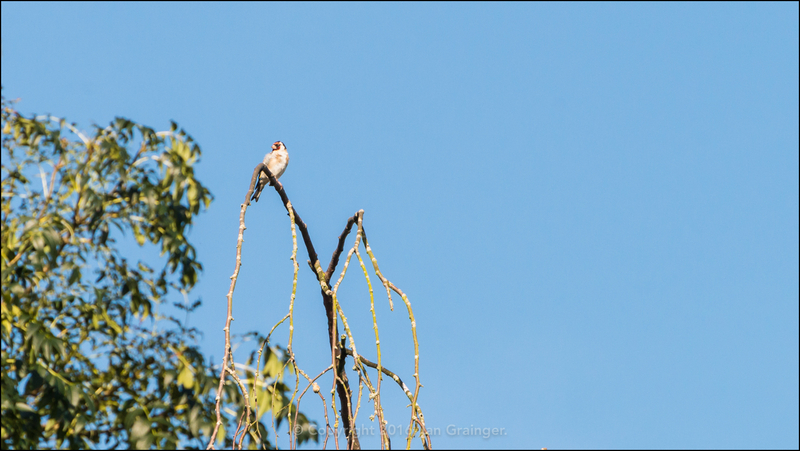 However, I spotted some new buds, and am hopeful that I may get some more. 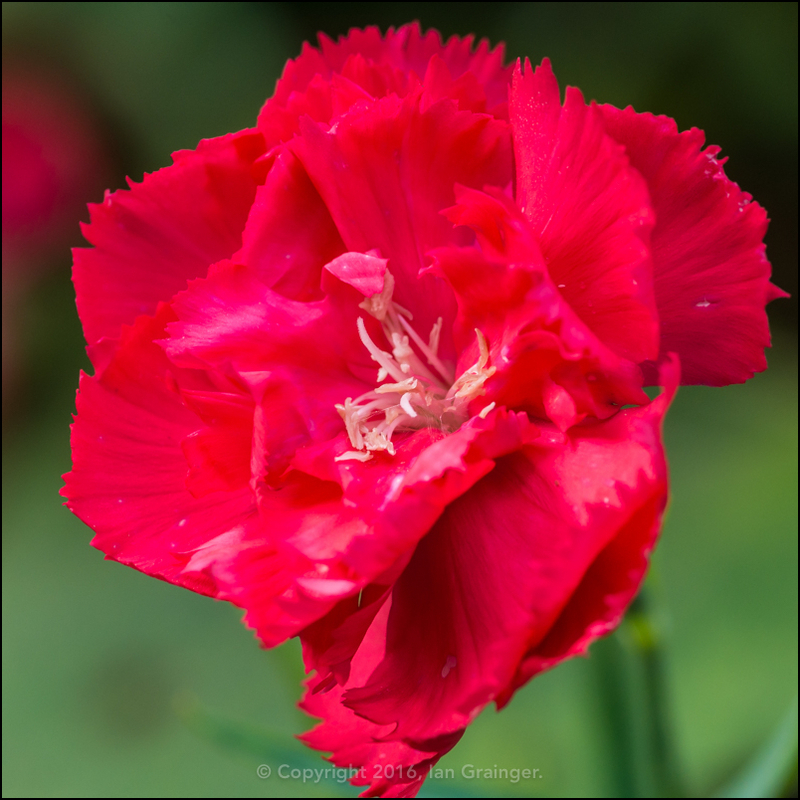 My red Carnations (Dianthus) are coming along nicely, and have started to appear all over the place, even in places I don't remember planting them. 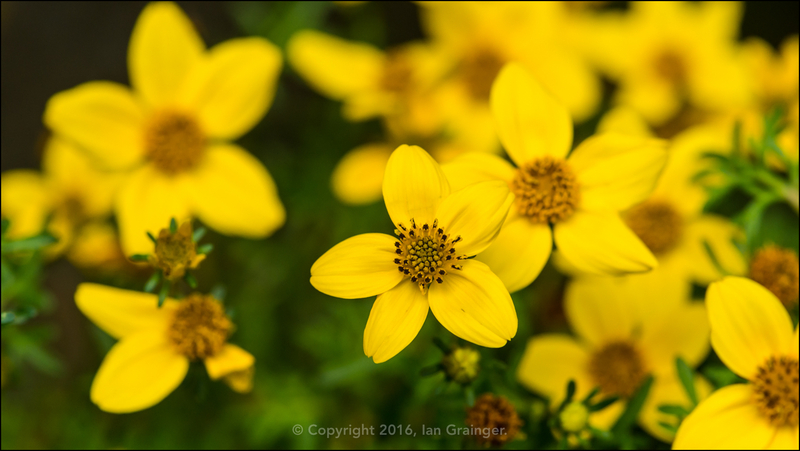 There has also been a resurgence of a lot of flowers, such as this Bidens, which has returned after a severe cut back last month. This Dahlia 'Duet' seems a little confused. It is called Duet because it has a red and white colouring, but this one doesn't seem to have got the memo, and is predominantly red. My Zinnia are still putting on a fantastic display of colour. 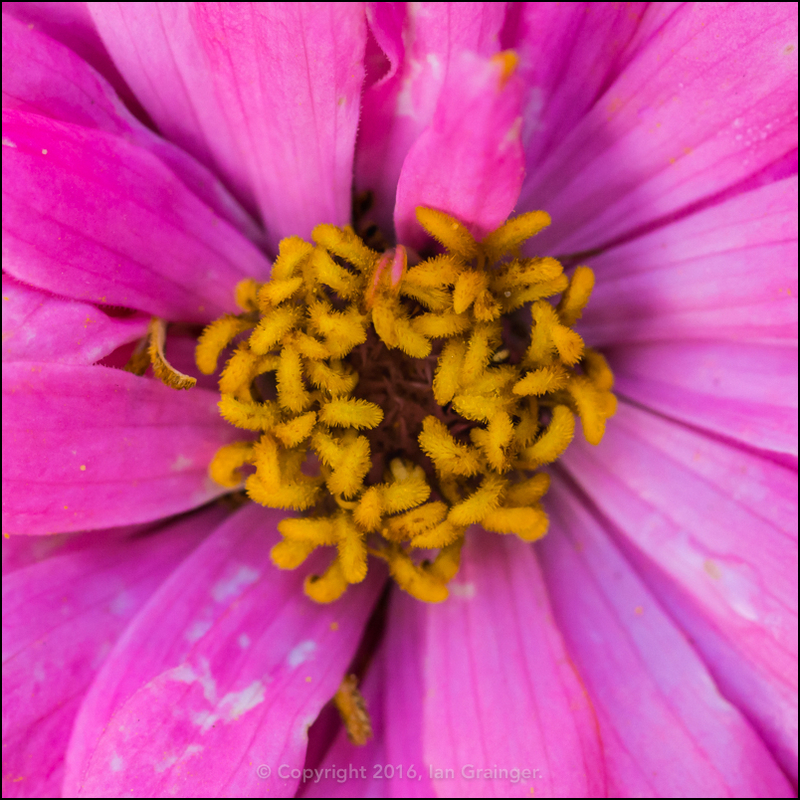 Don't you think it looks like little worms are squirming all over the centre of this one? 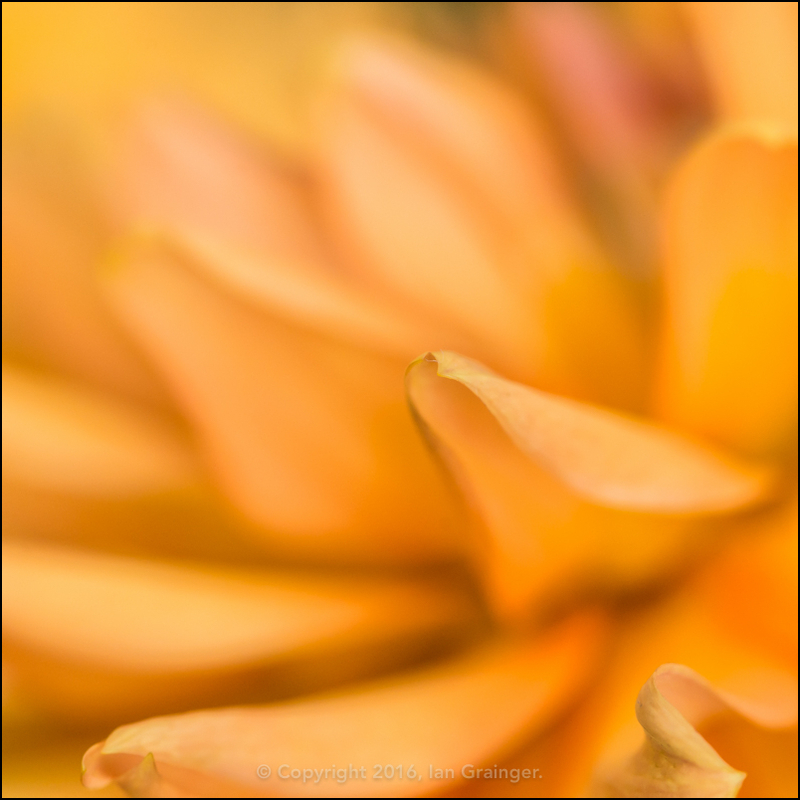 I love taking abstract photographs of flowers. 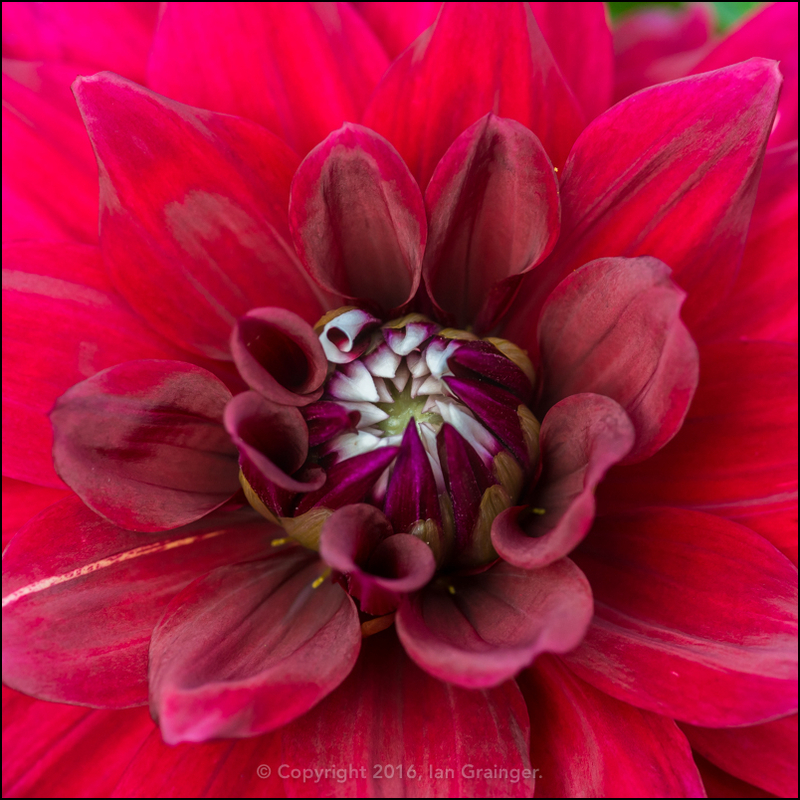 This is Dahlia 'Noordwijks Glorie', and it's the perfect specimen for making an abstract image. 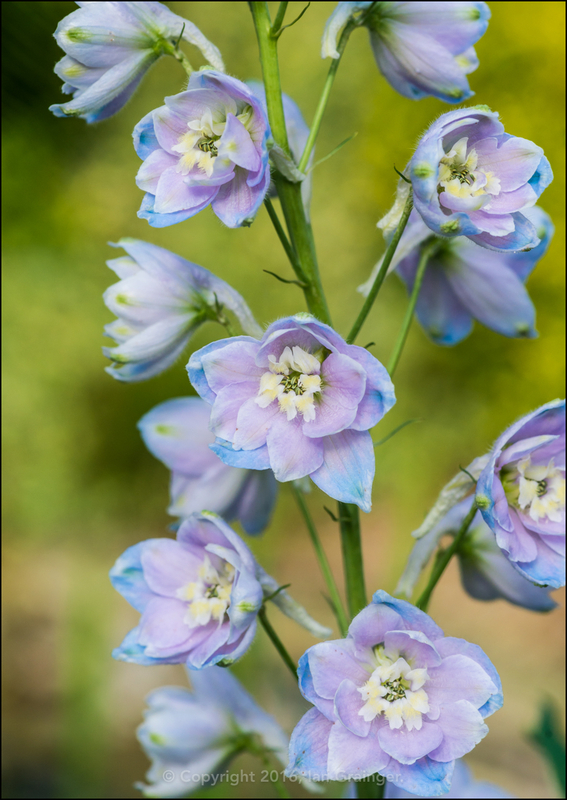 Undoubtedly my favourite flower in the garden this week is this Delphinium. 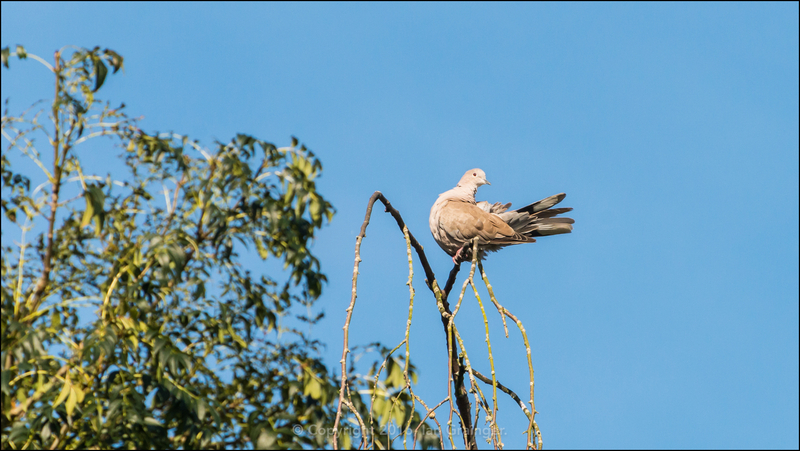 It is loaded with the most beautifully coloured pale blue flowers, and at over five feet tall, dominates the part of the garden it stands in. 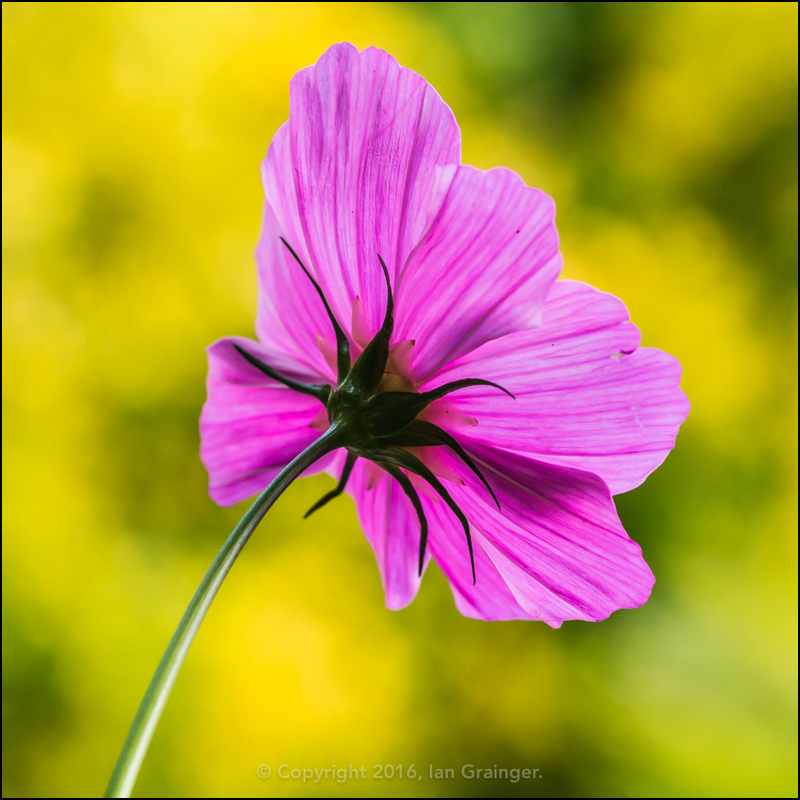 It's always nice to get an alternative view of a flower, and looking at the reverse of this Cosmos (Cosmea) highlights how beautiful they can look from any angle. 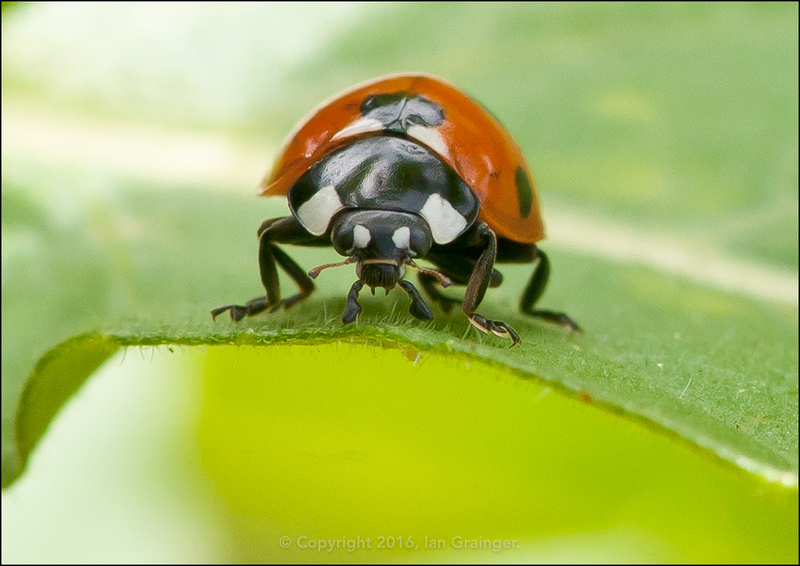 What of my photo buddy this week? Well, he followed me around dad's garden at the weekend and did his usual begging and crying for attention, which he obviously got! Could you resist giving him what he wanted? I doubt it!